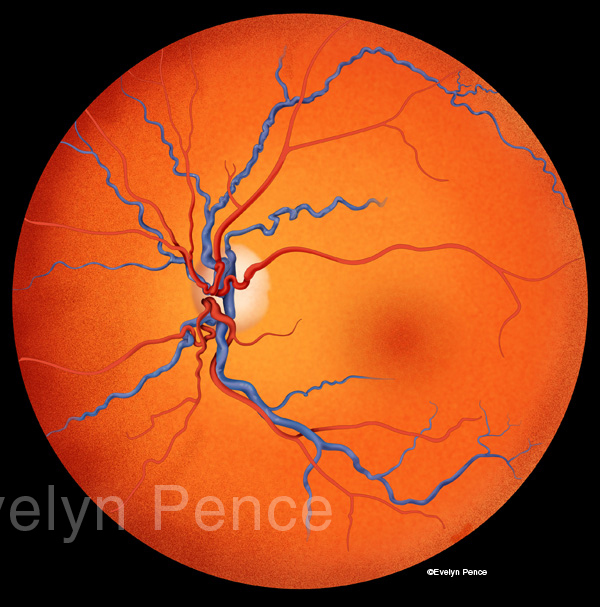 The human fundus (interior of the eye) was illustrated to compare healthy anatomy with two disorders associated with diabetic retinopthy: macula edema and central retinal vein occlusion, or CRVO. Because the presence of macular swelling is difficult to convey from the front view (as seen in the first 3 illustrations), two additional block diagrams showing a small cross-section of the fovea, one normal, one with macular edema, were created. 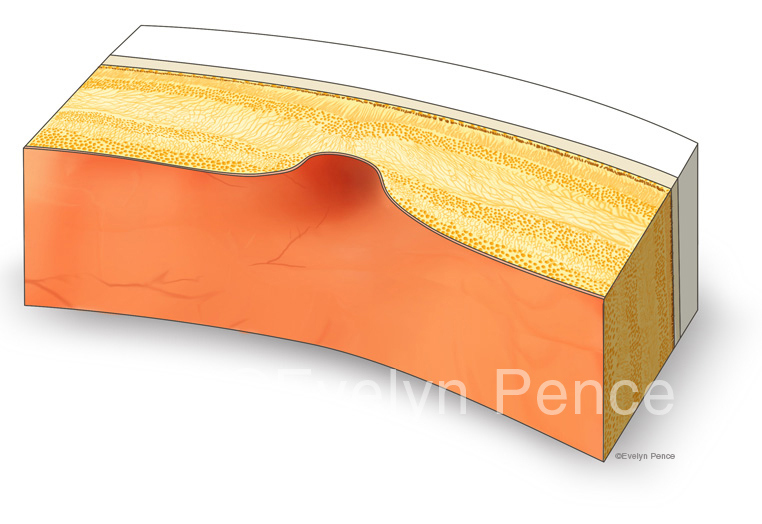 Series of fundus illustrations. The fundus is the interior of the eye. 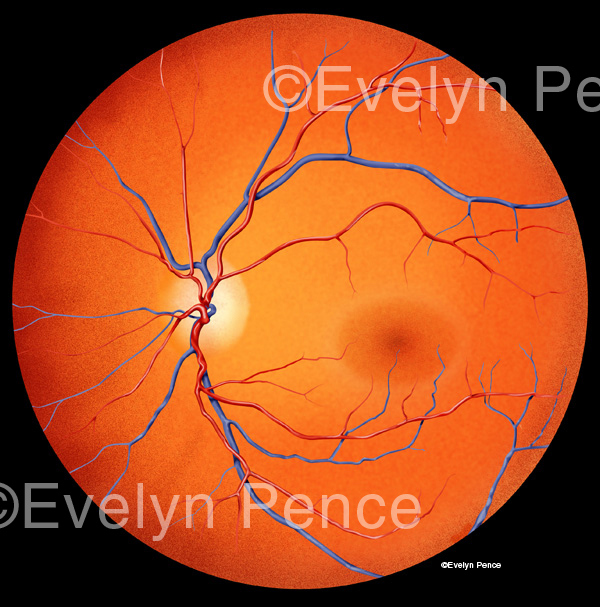 Some of the anatomy in the fundus includes the retina, the macula and optic disc. The first illustration shows healthy anatomy of the left eye, the next shows slight macular edema, and the bottom figure shows a condition called central retinal vein occlusion (CRVO). These disorders could lead to blurred vision or loss of vision. Patient scans were used as primary references for this series. 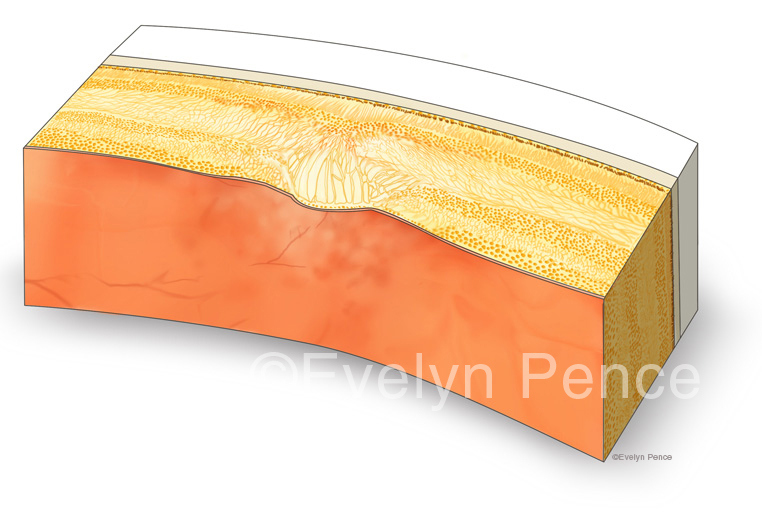 Cross-section of a normal fovea. Block diagrams comparing a cross-section of a normal fovea to one with macular edema.